How would you like to drive a highly fuel-efficient, powerful, spacious, and safe new car? If that piqued your interest, then the Honda Accord is one car that you have got to have on your test drive list! As one of America's favorite mid-size sedans for decades now, the Accord continues on for 2017 with a significant refresh, which should help it fend off competitors like Toyota's Camry. Brandon Honda proudly serves drivers and families near Brandon, Lakeland, Clearwater, and Riverview. We would like to invite local car shoppers to visit our Tampa, FL showroom to test drive the sleek Accord. 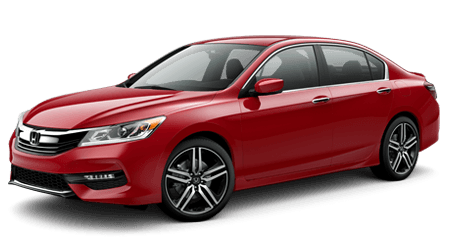 While browsing our website now, you can shop our entire inventory of new 2017 Honda Accord sedans in Tampa and other new Honda models, value your trade-in vehicle, get pre-approved for your new car loan, and more. The mid-size sedan class is as competitive as ever. Let's see how the 2017 Honda Accord compares to one of its longest running rivals, the Toyota Camry. No matter what the price of gas is, fuel efficiency matters to drivers, especially drivers of mid-size sedans, who expect to return impressive fuel economy numbers. Car shoppers with fuel efficiency on the mind will be glad to hear that the 2017 Honda Accord's standard engine is incredibly fuel-efficient. The Accord not only offers greater fuel efficiency than its mid-size rival from Toyota, but it rivals some smaller, compact sedans, too! The 2017 Accord's standard 2.4-liter i-VTEC inline 4-cylinder earns an EPA-estimated 27 miles per gallon in the city and 36 miles per gallon on the highway. Drivers of the Toyota Camry, meanwhile, should expect just an EPA-estimated 24 mpg in the city and 33 mpg out on the highway. That's right; no matter what type of driving you do -- city, highway, or combined -- the Accord tops the Camry by a whopping three miles per gallon! It is tough to argue with the Accord's supreme fuel efficiency over the Camry, but let's see how these two compare in standard power and performance. The 2017 Honda Accord may dominated the fuel economy duel, but what about standard power? After all, long gone are the days when mid-size sedans were merely 'family sedans'; now, drivers expect plenty of power on tap, even in base trim. Even with its smaller and more efficient standard engine, the Accord bests the Toyota Camry in standard horsepower and torque. 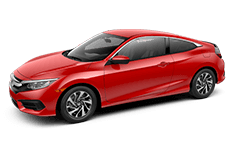 The Accord's 185-hp, 2.4-liter i-VTEC 4-cylinder engine develops 181 lb-ft of torque; while the Camry's larger, 2.5-liter engine produces just 178 hp and 170 lb-ft of torque. These two mid-size sedan rivals have a nearly identical curb weight, meaning that the Accord will feel more powerful and capable out on the road, thanks to its additional 11 lb-ft of torque and seven horsepower over the Camry. For a powerful yet fuel-efficient new sedan, pass on the Camry and get into a Honda Accord. Come and test drive the thrilling performance and impressive efficiency of the 2017 Accord near Lakeland, Clearwater, and Riverview at Brandon Honda in Tampa, FL. When shopping for a mid-size sedan, who wouldn't want to maximize passenger space and comfort? With the Accord, you will find significantly more passenger space than in its competitor from Toyota. In fact, the new Accord has more front legroom, headroom, hip room, and shoulder room than the Camry; in other words, the Accord's front seats are roomier than the Camry's in every measurable dimension! Rear seat passengers in these two popular sedans will find nearly identical amounts of space. To maximize passenger comfort and space in your new mid-size sedan, get into the Honda Accord at Brandon Honda. Mid-size sedans continue to grow over the years, both in passenger space and in cargo capacity. Of course, some offer more space than others, like the Honda Accord. The new Accord's trunk holds nearly 1/2 cubic foot more cargo than the Camry's, which will certainly come in handy whether on a long weekend road trip or transporting family or friends and their bags or luggage. Both of these mid-size sedans are offered with convenient 60/40 split-folding rear seats to increase cargo space and the ability to haul bulky items, but the Accord's larger trunk translates to greater cargo hauling versatility. The Honda Accord and Toyota Camry mid-size sedans are outfitted with safety features aimed at protecting you and your precious cargo in the event of a collision, but thanks to its higher safety ratings, the Honda outshines the Toyota in overall safety. The NHTSA (National Highway Traffic Safety Administration) has awarded the Honda Accord with a 5-Star Overall Crash Test Rating, which is the highest overall crash test rating a vehicle can obtain. Toyota's Camry, on the other hand, received a few 4-star safety ratings, including in overall frontal crash, rollover, and side pole crash testing. If you are serious about safety, why not opt for the sedan that has passed the NHTSA's crash safety tests with flying colors? Learn more about the Accord's comprehensive and advanced safety features at Brandon Honda in Tampa, FL. The best way to experience all of the stunning features, technology, and performance of the Honda Accord is, of course, with a test drive. If you live near Tampa, Lakeland, Clearwater, and Riverview, then visit Brandon Honda. Once you take one of these stylish sedans out for a test drive spend a few minutes inside its well-appointed cabin, we are confident that you will have your heart set on driving home a Accord. 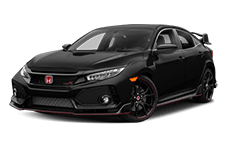 Browse our complete inventory of new Honda Accords and other Honda models from the comfort of your home, right here on our website. While shopping our online inventory, why not get pre-approved for an auto loan or value your trade? Our authorized Honda dealership is also home to a Honda auto service center, staffed with Honda certified service technicians who will keep your Honda running like new for many miles and years to come. Visit Brandon Honda today!